Inside Waco’s Cameron Park, you'll find a place where the wild things are … Cameron Park Zoo. More than 1,700 animals, representing more than 300 species, live within the zoo’s 52 acres. Gibbons, eagles, elephants, giraffes, black bears, orangutans, komodo dragons, and big cats are only a few of the animals you'll see at this beautiful zoo in Waco, Texas. Cameron Park Zoo is known for its lush, natural habitats that give visitors close-up views of its exotic inhabitants. Whether you like to slither with the snakes or roar with the lions, Cameron Park Zoo has it all. Immerse yourself in a wild journey around the world by adventuring through the Brazos River Country, African Savanna, Asian Rainforest, and much more! Start your zoo journey by visiting and exploring Gibbon Island and Lemur Island. 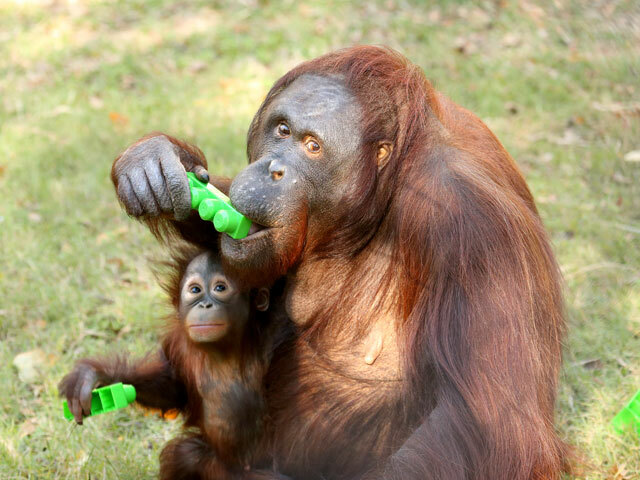 Watch these entertaining primates play and communicate! Then visit the South America exhibit and see capybara, sun conures, king vultures, squirrel monkeys, giant Galapagos tortoises, scarlet ibis, sloths, and other South American animals. Explore the biodiversity of Texas when you step into the Brazos River Country. The Brazos River Country Exhibit features native species and the history of the Brazos River Basin. 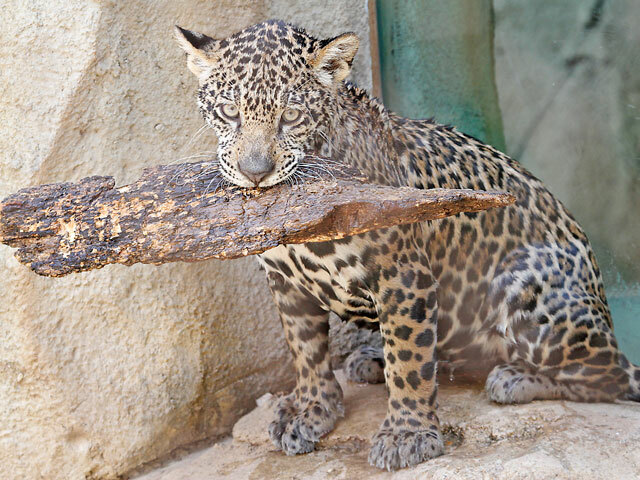 Encounter animals native to Texas, such as cougars, black bears, jaguars, ocelots, coyotes, bison, and otters. At the Otter Mill, children can swim with the otters by sliding through the exhibit down a built-in slide. Next, slither over to the Herpetarium and get cozy with the snakes, reptiles, and amphibians that inhabit rainforests and deserts before taking a safari across the African Savanna. Here, you'll encounter lions, giraffes, elephants, white rhinos, and meerkats. Visitors also have the chance to participate in giraffe feedings during select times throughout the week. Continue your travels through the Asian Forest, where the habitat replicates the abandoned Angkor Wat temple inhabited by orangutans and komodo dragons. The Asian Forest is also home to Sumatran tigers. The zoo has play areas for the kids, one of which includes a splash pad that is open Memorial Day weekend through Labor Day weekend. You will also be able to stop for lunch at one of the two cafes or visit the Zootique Gift Shop for all of your souvenir and gift giving needs. Cameron Park Zoo combines education and conservation with entertainment and fun for visitors of all ages. It's no wonder it's one of the top things to do in Waco!